Runa Khan, an Ashoka fellow and Schwab Foundation social entrepreneur, is the Founder and Executive Director of Friendship, an NGO supporting remote communities in Bangladesh. Established in 2002, Friendship serves 4.2 million lives a year, providing integrated services in Health, Education, Sustainable Economic Development, Climate Change Adaptation & Disaster Management, Inclusive Citizenship and Cultural Preservation. Friendship has also been active in the Rohingya crisis response in Bangladesh recently with health, watsan, reforestation and educational services. She is the Founder and Co-chair of Friendship International which operates from five European countries, building an improved understanding and stronger relationship between resource providers and beneficiaries, bringing new concepts of working together and giving financial and nonfinancial support to Friendship Bangladesh. Her work is based on simple logic, empathy, respect, deep sense of justice and innovation. 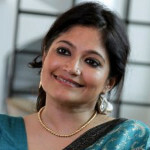 Runa Khan is also a board member of Global Dignity, BIC Corporate Foundation, and on the Business Advisory Board, Independent University Bangladesh. She often gives talks on leadership, volunteerism, development and social entrepreneurship in International Conferences and Universities. Other international awards and recognitions received; Green Award by Positive Planet (2016), Social Innovation Leadership Award by the World CSR Congress (2014), Social Entrepreneur Award, IDB for contribution toward Women in development (2008), Rolex Awards for Entrepreneurship (2006).